Foxconn Technology is in talks to manufacture Apple's iPhone in India, government officials said, in a move that could lower prices in the world's No 3 smartphone market where the U.S. firm trails Samsung Electronics and local players. 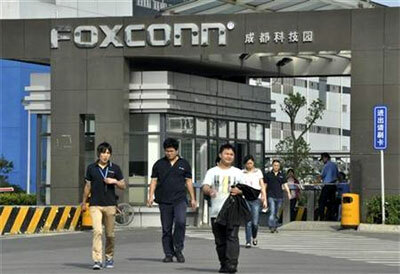 "Foxconn is sending a delegation of their officers to scout for locations in a month's time," Subhash Desai, Industries Minister of India's western state Maharashtra, told Reuters. The Taiwan-based tech giant, the world's largest contract maker of electronic products, declined to comment on detailed plans on Thursday, citing commercial sensitivity. Apple's iPhone 6 with 16 GB sells for around 44,000 rupees ($687.82) in India, versus Samsung's Galaxy S6 with 32 GB which sells for around 40,000 rupees ($625.29). Apple is among the biggest clients for Foxconn -- the trade name for Hon Hai Precision Industry Co Ltd -- which also makes components for companies such as Xiaomi, Acer and Sony. "The smartphone boom in India indicates the time is just right to focus on expansion plans and increasing volume in India to a comparable level with the China market in the next five years," said Sky Li, vice president of phone manufacturer OPPO.